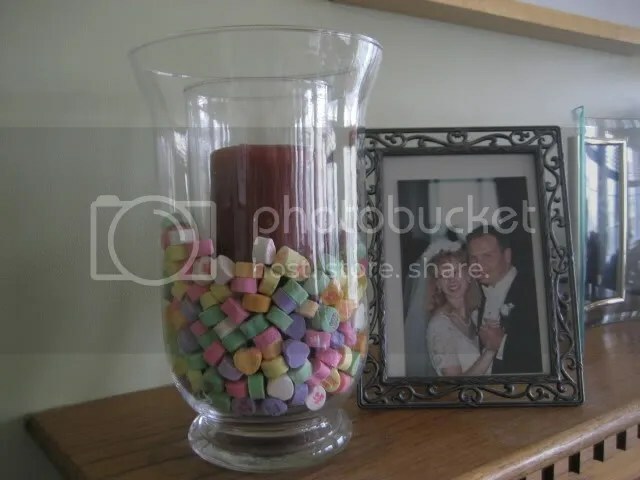 I’ve done a little decorating for Valentine’s Day, and of course, one of my ideas came from Pinterest! 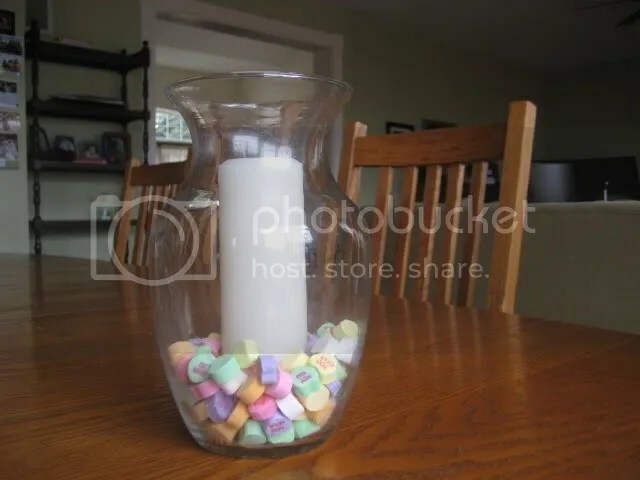 Here is my candle globe with conversation hearts. This second one would have been fuller with candy hearts, but my kids keep eating them! 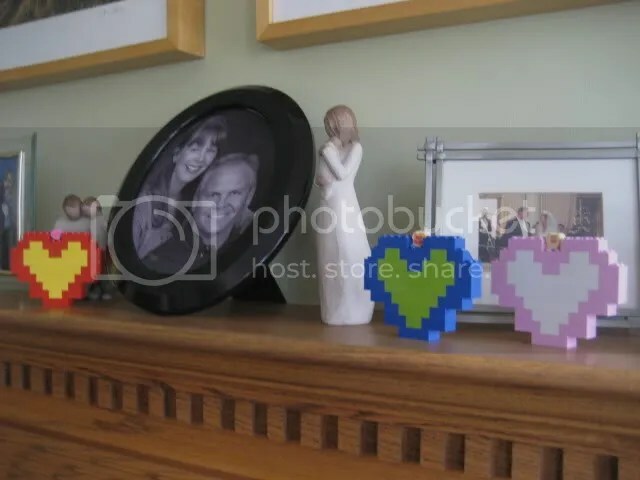 Also, my son made some Lego hearts that are decorating our mantle! Previous Post: « Happy Blogoversary to Me! Six Years! I have done the exact same thing on my mantel! I heart Pinterest. 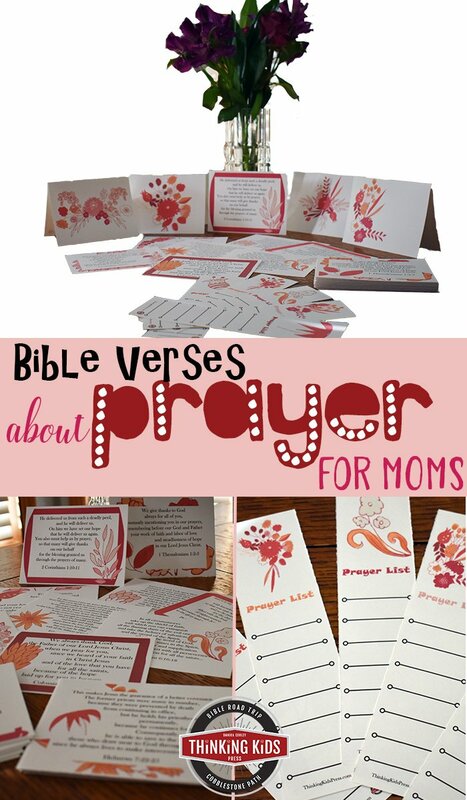 I host a Tuesday Pinterest Inspiration and would love for you to come and link up. It’s open till Sunday. Im a new blogger and Im addicted! !